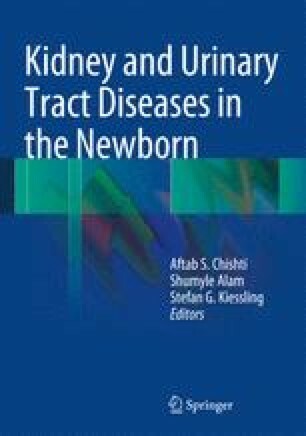 Congenital nephrotic syndrome (CNS) is a group of rare conditions that present with high-grade urine protein (albumin) losses, hypoalbuminemia, and edema within the first 3 months of life. It is important to differentiate CNS from other presentations of nephrotic syndrome, mainly the infantile form (4–12 months of age) and childhood nephrotic syndrome (onset after the 1st year of life). Unless treatment is initiated, CNS is universally fatal.